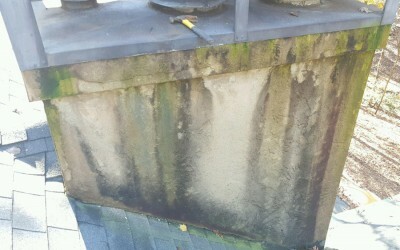 Ideal Roofing and Exteriors was called out to investigate a leaking roof for a homeowner in Peachtree City. Once we arrived at the house, we greeted the homeowner and promptly began our inspection. During our rooftop inspection, it was apparent that the stucco surface on the chimney had failed and water was penetrating through several cracks in the Stucco. Once the water had made its way to the plywood sheathing under the Stucco surface it then worked its way behind the metal flashing and through the seams in the roof deck. Voila! we found the leak. After communicating the information to the homeowner, we were contracted to replace the siding on the chimney. With several options to choose from, we felt that this would be an ideal application for fiber cement siding. Fiber Cement siding has been a very popular product for more than 50 years. The technology has improved significantly over the last two decades and it is our preferred choice when we are looking at siding replacement. After laying down a tarp on the roof deck we began removing the Stucco surface and plywood sheathing. Once removed, we did a thorough inspection on the framing for damage or dry rot. 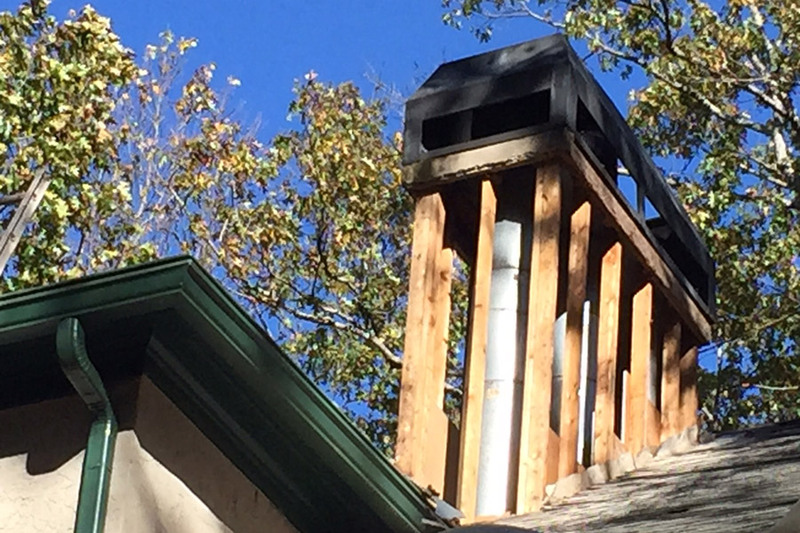 The inspection did not reveal any damage to the framing or surrounding roof deck. We informed the homeowner about our findings and moved on to the next phase. Once we confirmed that the framing was solid and no damage had occurred, we installed new plywood sheathing and a vapor barrier. Each corner was double wrapped and corner boards were installed. We then installed the new James Hardie Color Plus Siding. Color Plus Technology comes with a 15-year warranty that covers paint and labor, protecting against peeling cracking or chipping. Upon completing the installation of the siding, we sealed all seams with color matching 50 year exterior grade caulk. 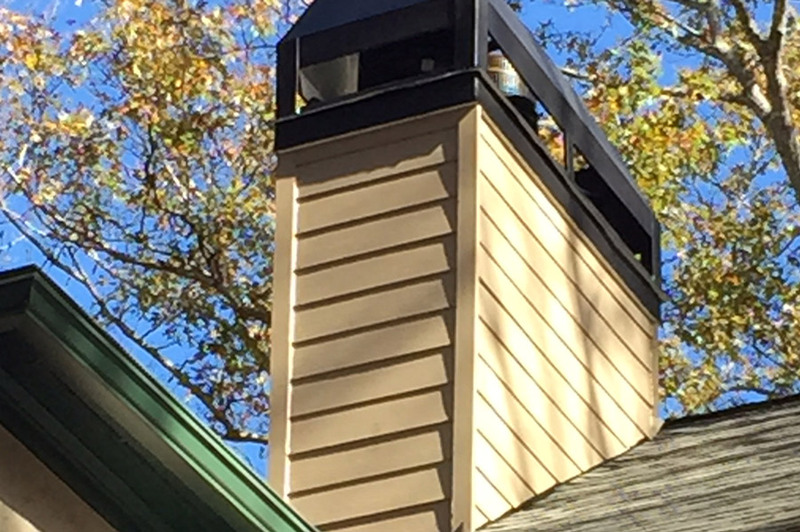 Ideal Roofing and Exteriors is a local roofer and siding contractor located in Peachtree City, Ga. We service Fayette County and suburbs south of Atlanta. Our roofing warranties are backed by Owens Corning as a benefit of having been awarded Platinum Preferred Contractor status. We have completed thousands of projects over the last 2 decades and consider ourselves to be the best local roofer and siding contractor in the County. If you need a quality job at a reasonable price, CALL IDEAL!